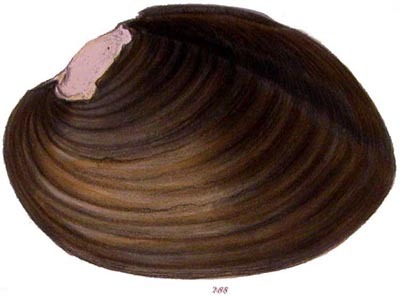 = Actinonaias ligamentina (Lamarck, 1819). — Bolotov et al. (2018). 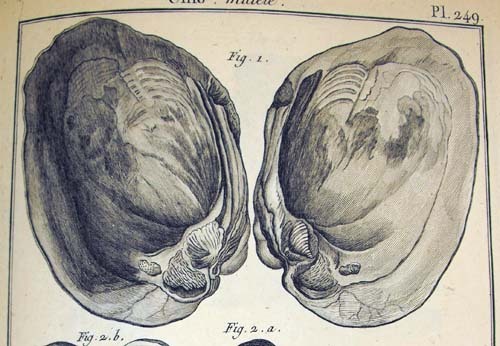 = Actinonaias ligamentina (Lamarck, 1819). — Bolotov et al. (2017). 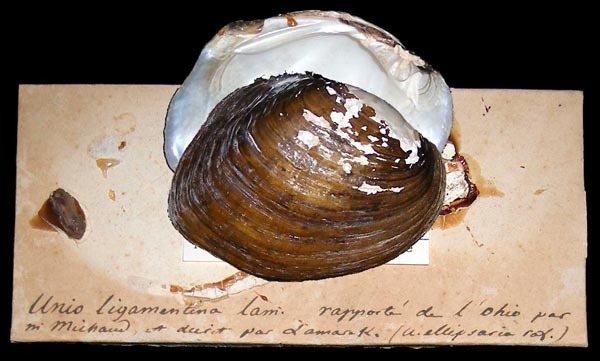 = Actinonaias ligamentina (Lamarck, 1819). — Williams et al. (2017). 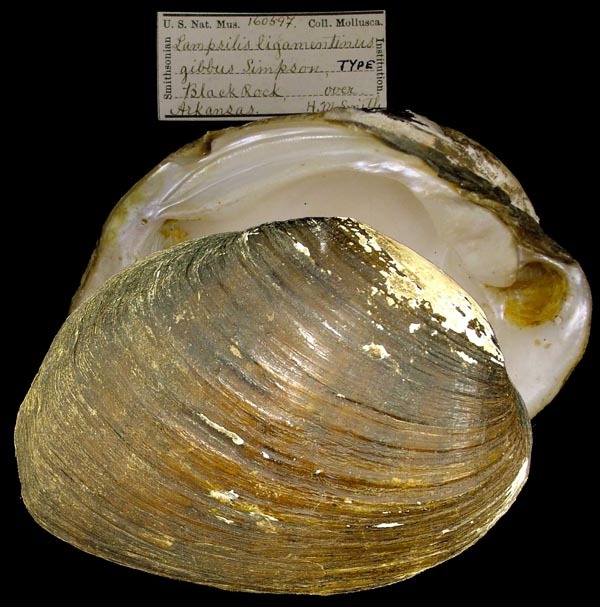 = Actinonaias ligamentina (Lamarck, 1819). — Lopes-Lima et al. (2017). = Actinonaias ligamentina. — Chong et al. (2016). = Actinonaias ligamentina. — Jones (2015). = Actinonaias ligamentina. — Krebs et al. (2013). + Actinonaias carinata gibba Simpson. — ITIS (2012). = Actinonaias ligamentina (Lamarck, 1819). — Szumowski et al. (2012). Lamarck, 1819, Hist. Natur. Anim. sans Vert. : 71, sp. 3, var. c [in part]. Lamarck, 1819, Hist. Natur. Anim. sans Vert. : 72, sp. 7. 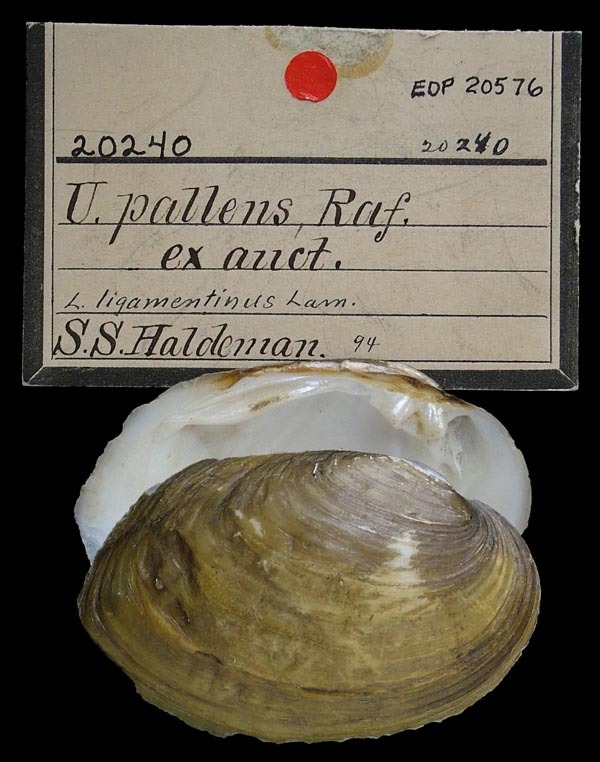 Type(s): HOLOTYPE MNHN_MPL_0039, rapporte de l’Ohio. 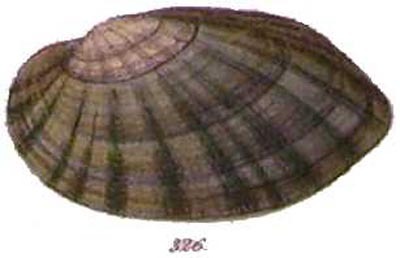 Unio (Elliptio) fasciata Rafinesque, 1820. Rafinesque, 1818, Amer. Mon. Mag. : 355 [as ‘Potamilus fasciatus’] [nomen nudum]. Rafinesque, 1820, Ann. Gén. Sci. Phys. : 294. Rafinesque, 1864, [in] Binney & Tryon, reprint: 22, 40. Type(s): LECTOTYPE ANSP_20222, Kentucky River. Unio (Elliptio) fasciata var. alternata Rafinesque, 1820. Rafinesque, 1864, [in] Binney & Tryon, reprint: 40. Unio (Elliptio) fasciata var. cuprea Rafinesque, 1820. Unio (Elliptio) fasciata var. nigrofasciata Rafinesque, 1820. Barnes, 1823, Amer. J. Sci. : 259, pl. 11, fig. 10. Barnes, 1823, Amer. J. Sci. : 259, pl. 13, fig. 19. Wood, 1828, Suppl. Index Testac. : 3, pl. 1, sp. 6. Hanley in Wood & Hanley, 1856, Index Testac. : 199, pl. 1, fig. 6. Wood, 1828, Suppl. Index Testac. : 57, pl. 1, sp. 6. Obliquaria (Sintoxia) calendis Rafinesque, 1831. ‘Rafinesque’ Say, 1834, Amer. Conch. : 224. ‘Raf.’ Conrad, 1835, Monogr. Fam. Unionidae: 3, pl. 1. ‘Raf.’ Conrad, 1853, Proc. Acad. Nat. Sci. : 249. Lea, 1857, Proc. Acad. Nat. Sci. : 84. Lea, 1858, Jour. Acad. Nat. Sci. : 78, pl. 15, fig. 58. 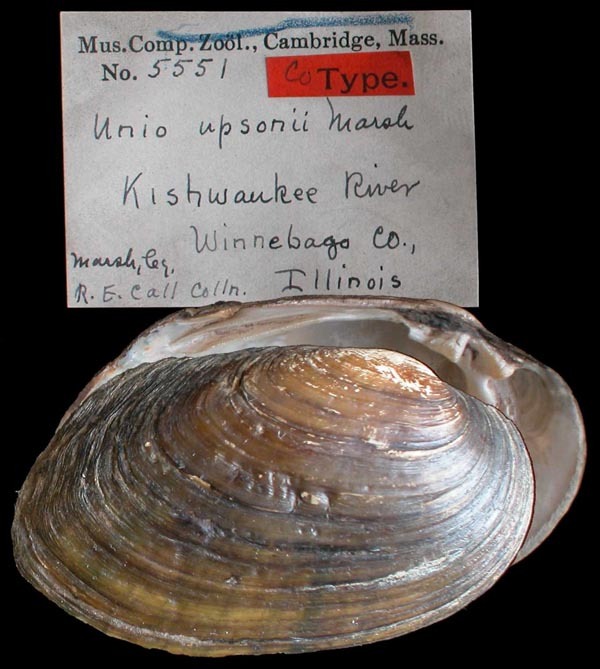 Type(s): HOLOTYPE USNM_85008, St. Peters River, Upper Mississippi. ‘Lamarck’ Sowerby, 1867, Conch. Icon. : pl. 57, sp. 288. ‘Lamarck’ Sowerby, 1867, Conch. Icon. : pl. 58, fig. 293a [in part]. ‘Lamarck’ Sowerby, 1868, Conch. Icon. : pl. 62, sp. 312. Lea, 1868, Proc. Acad. Nat. Sci. : 164. ‘Lea’ Sowerby, 1868, Conch. Icon. : pl. 63, sp. 316. ‘Lea’ Sowerby, 1868, Conch. Icon. : pl. 64, sp. 326. Marsh, 1887, Conch. Exchange: 51. 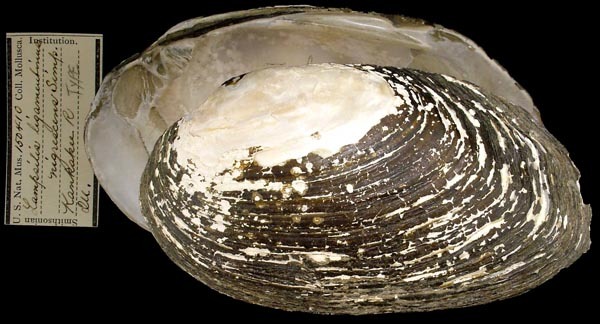 Type(s): SYNTYPE MCZ_5551, Kishwaukee River, Winnebago Co., Illinois. Lampsilis (sec. Eurynia) ligamentina var. gibbus Simpson, 1900. Simpson, 1900, Proc. U.S. Nat. Mus. : 540. Simpson, 1914, Descr. Cat. Naiades: 82. Type(s): SYNTYPE USNM_160597, Black Rock, Arkansas. Lampsilis (Eurynia) ligamentina var. nigrescens Simpson, 1914. 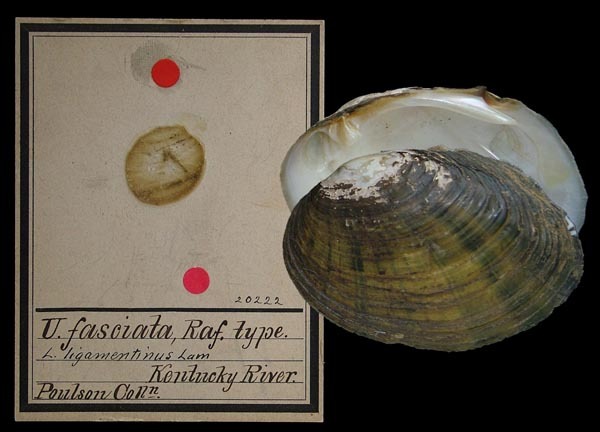 Type(s): LECTOTYPE USNM_150410 (selected by R.I. Johnson, 1975), Kankakee R., Ill.
Lampsilis (s.s.) sowerbyana Frierson, 1927. ‘Lea’ Sowerby, 1868, Conch. Icon. : pl. 63, sp. 316 [as ‘Unio pictus’]. Frierson, 1927, Check List N. Amer. Naiades: 69, sp. 308. 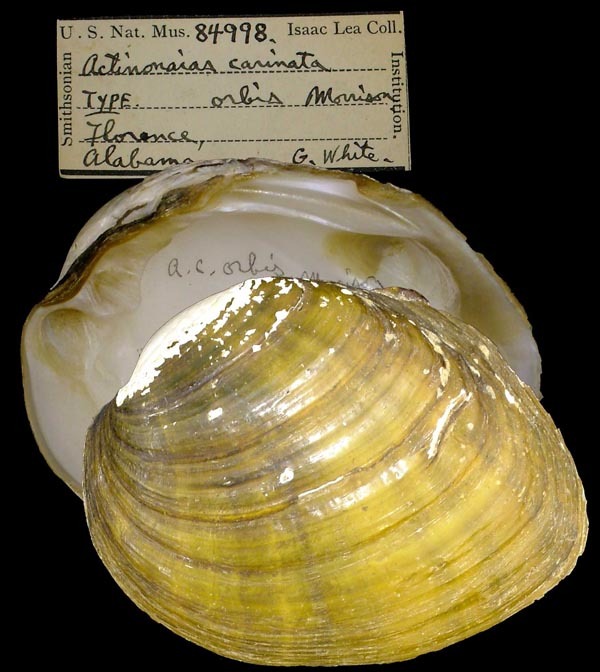 Actinonaias carinata orbis Morrison, 1942. Morrison, 1942, Bulletin Bur. Amer. Ethnol. : 361. 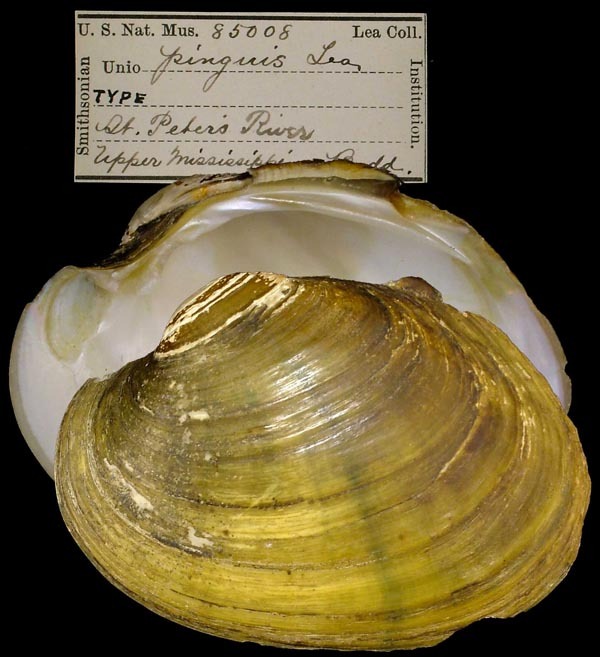 Type(s): HOLOTYPE USNM_84998, Florence, Alabama.